Manufactured in Japon from Circa 1956 until 0. 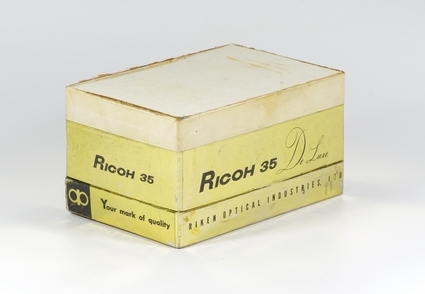 From 1956 to 1957, Ricoh offers several very close telemetric cameras technically and aesthetically: 35 De Luxe (Type I, II, III), 35s, 35L and 500 (1st version). 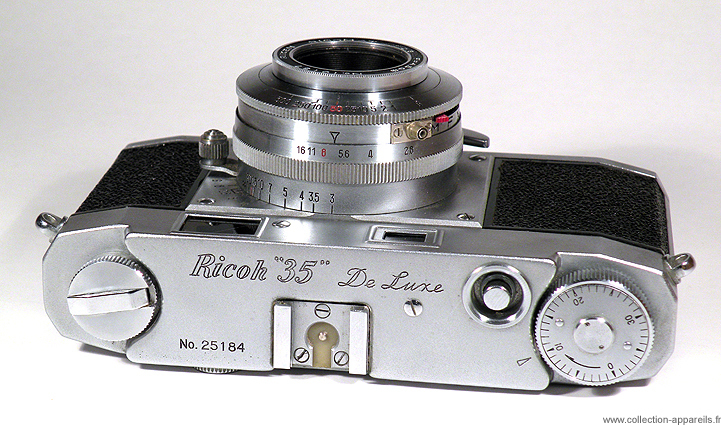 The Ricoh 35 De Luxe type I is recognized with its framing in relief around the windows of the viewfinder and the rangefinder. The advance of film and the cocking of the shutter can be carried out by rotation of a serrated roller on the top or, more quickly, by an unfolding lever located under the lens. 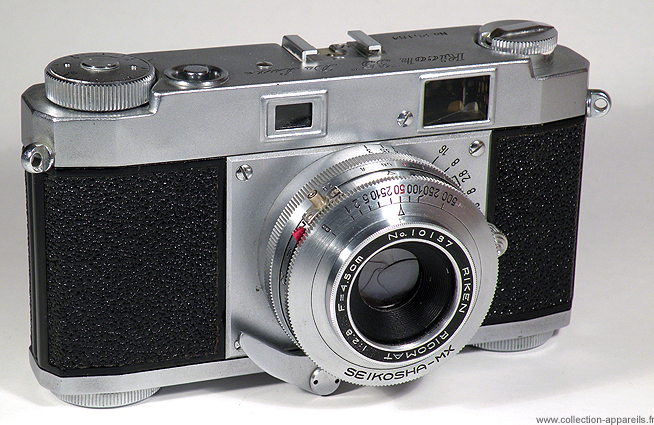 The rangefinder is operated by an single knob with left hand on the side of the lens.